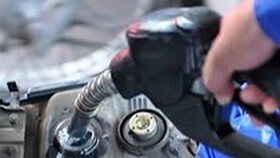 The Criminal Investigation Department under the Ministry of Public Security announced this morning that they had arrested two men suspected for conducting armed robbery in the Ho Chi Minh City – Long Thanh – Dau Giay Expressway toll station in the southern province of Dong Nai yesterday. 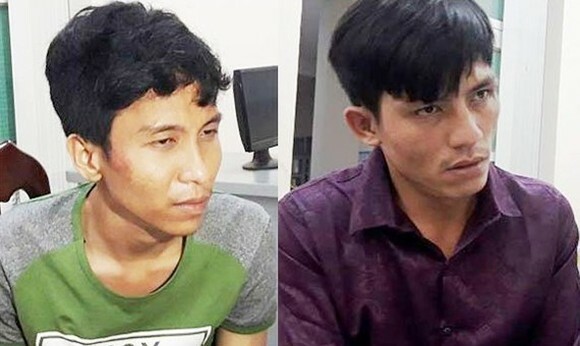 The two robbers are 25 year old Tran Tuan Anh hailing from the Mekong delta province of Tien Giang and 29 year old Nguyen Vu Hoang Nam from the northern province of Nam Dinh. Two are former employees of the expressway station. 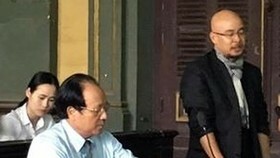 Criminal investigators said that with the specialized skilled, they were on the track of the two who went to Sai Gon train station for planning to flee yesterday. The arrest was made at 11 PM. 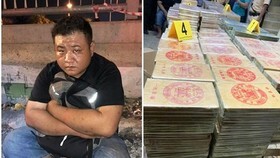 According to investigation, after robbing VND2.2 billion ($94,783), they escaped the expressway station heist on motorcycles but they fell down .Tran Tuan Anh got a wound in his heel that made him unable to run away so he hid from the police near the station while Hoang Nam ran away to HCMC. 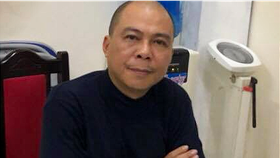 They made appointment to meet in Sai Gon train station through phoning to divide the money and how to flee from the police, and then they were arrested. 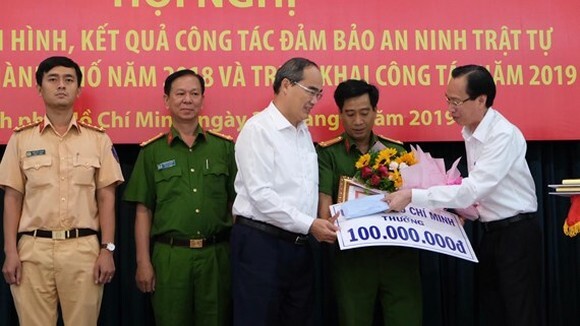 Both were arrested with cash of VND100 million, golden items and relating documents. As newspaper released, when staffs of the Ho Chi Minh-Long Thanh-Dau Giay Expressway station were exchanging their shift at 7 AM yesterday ( the third day of the lunar new year ), the masked duo entered the station. 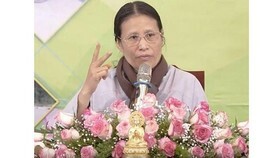 They pointed gun forcing staffs to give them all money and fled away with all money. The rime took place within 6 minutes. On the way fleeing, they dropped a bag of money. 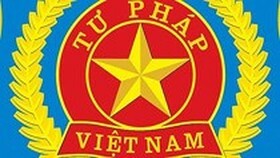 Through surveillance camera, investigators saw two masked men wearing sport shoes and black jackets who pointed gun to force station staffs to take the amount of VND2.2 billion and then fled.